Be default, http version of websites are loaded in a web browser. 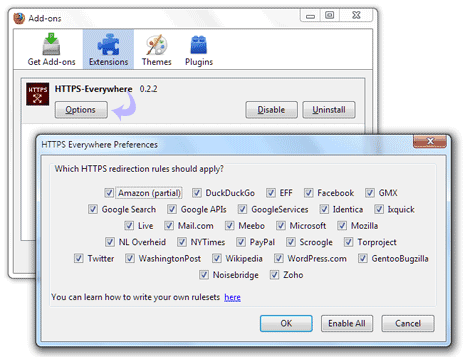 You can make web browsing more secure by using https ecrypted version of websites. Only selective websites offer ecrypted https version for accessing their content. If you are Firefox users, then you can automate redirection of http to https version of website (if available). 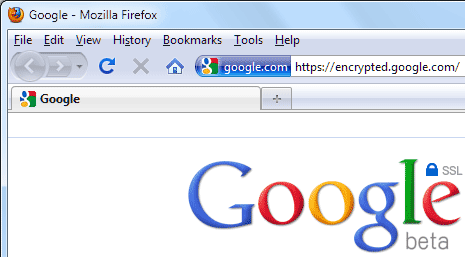 This can be achieved using https everywhere addon in Firefox and KB SSL Enforcer extension in Google Chrome. 1. Launch Firefox browser and open https everywhere addon webpage. 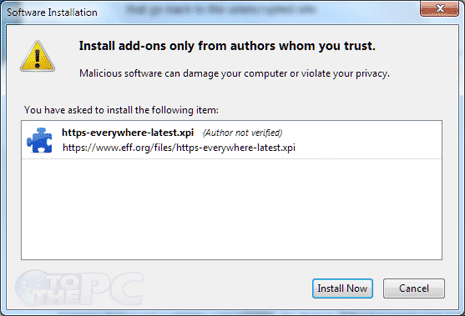 Click ‘install https everywhere’ logo on the webpage to download Firefox addon. 2. Click ‘install now’ button to start the installation. Restart Firefox browser to complete installation. 4. In Firefox browser, goto Tools > Addons. 5. Click ‘options’ button next to ‘https everywhere’ to open options dialog box. 6. Click to check or uncheck specific websites where http to https redirection should enabled or disabled respecitively. Addon ‘https everywhere’ automatically redirects http to https version of websites like: Google Search, Wikipedia, Twitter, Facebook, most of Amazon, GMX, WordPress.com blogs, The New York Times, The Washington Post, Paypal, EFF, Tor and Ixquick. 1. 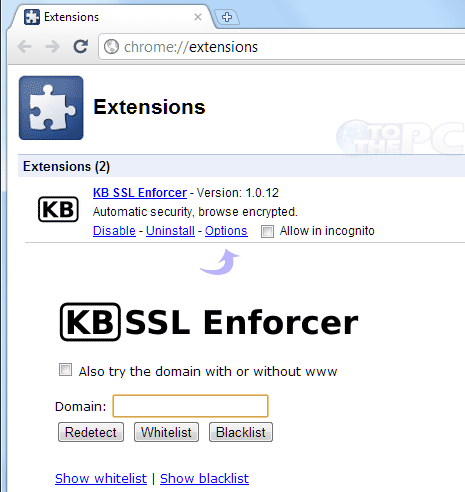 Launch Google Chrome browser and open KB SSL Enforcer extension webpage. 2. Click ‘Install’ button to download extension and install it in your Chrome browser. 4. You can access options for this Chrome extensions to redetect and blacklist specific domain urls in regard to http to https redirection. Click on wrench icon at top right, goto Tools > Extensions and then click options button under ‘KB SSL Enforcer’. With ease of transition from http to https in Firefox and Google Chrome using respective extensions / addons – you can easily secure your web browsing through encrypted https version of websites to access online content. As a server and website admin I really wish that people who don’t understand real day-to-day security worth a damn would stop claiming that forcing everything to speak HTTPs will make the world more secure–because it won’t. All this forcing things to attempt to use HTTPs just because the server has a site on it and happens to be running HTTPs does is cause breakage. (Ever consider that the site might not be running the same content on the HTTPs and other non-HTTPs virtual hosts?) It does not improve security any notable amount for the average website. Sure, some things should be secured–no argument there–but abusing HTTPs is not the way to fix the problem. Please look at bit.ly/https-evr Chrome extension. I would like you to report about my facebook account for it is always https everytime i log in on my account.. Kindly please help me with this problem to be resolved.. how will i use my account with http only? https means the connection is secure and encrypted. i want it that way.